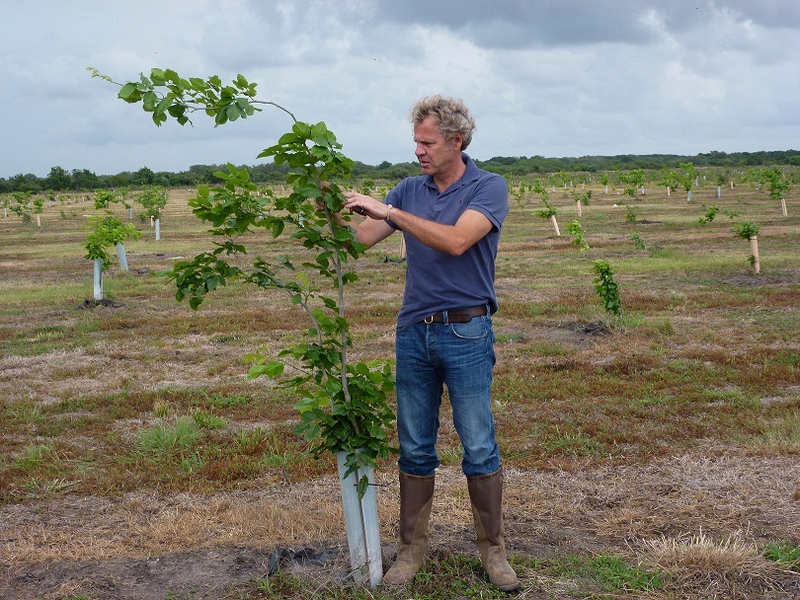 Marcel van Heesewijk is one of the major Pongamia entrepreneurs in the world. He was the inspiration for his niece and nephew to start their own company; The Corekees Foundation. Marcel dedicated his life to the CO2-absorbing and oil-producing Pongamia tree, which we at Corekees also use. His story is unusual as it is adventurous. This is the first part of our two-part Treetalks with Marcel. After studying Economics in Groningen and doing an MBA in Paris Marcel’s affinity for tech led him into software. He started working at Siemens, but he always wanted to do his own thing. So, he set up his own company; SourcingLink. “We had developed a nice software application for retailers and brought the company to the US stock market. We raised quite a bit of money.” He’s quite modest; the company was valuated at 300 million US dollars. One of the biggest retailers in the world and his biggest client breached the contract with Marcel. A legal battle followed. “We won, but it was already too late.” Marcel jokingly tells he then sold what was left of the company. This attitude ensured that Marcel was already looking forward and planning his next venture. “The time to start up in hi-tech, with little to no capital, was gone. When I started that was still feasible but not anymore. So, I wanted to shift away from tech to land. 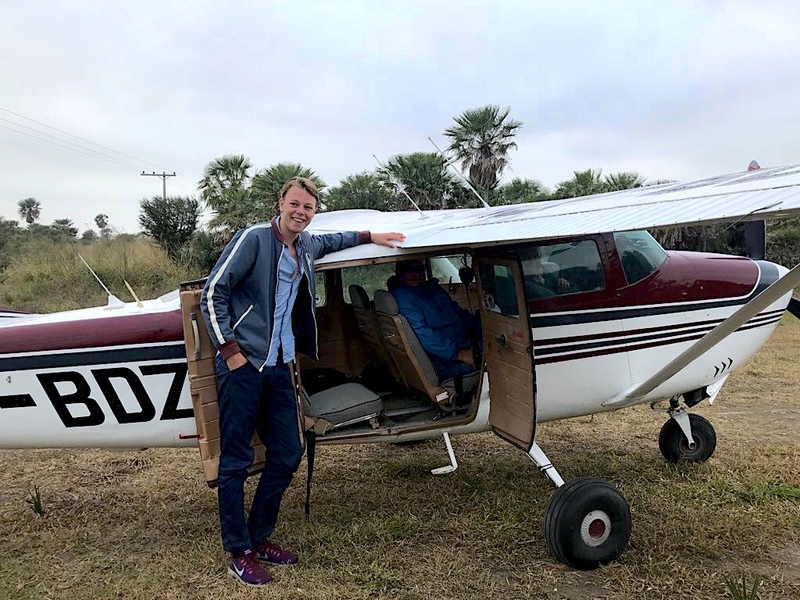 I saw land, mainly agricultural land, as the next scarce resource and South America has a lot of it.” In essence, he was going back to his roots. The Chaco, a region in the North of Paraguay, was best situated, so he went scouting. First, he went to a Paraguayan contact, Rodrigo, and told him about the project. 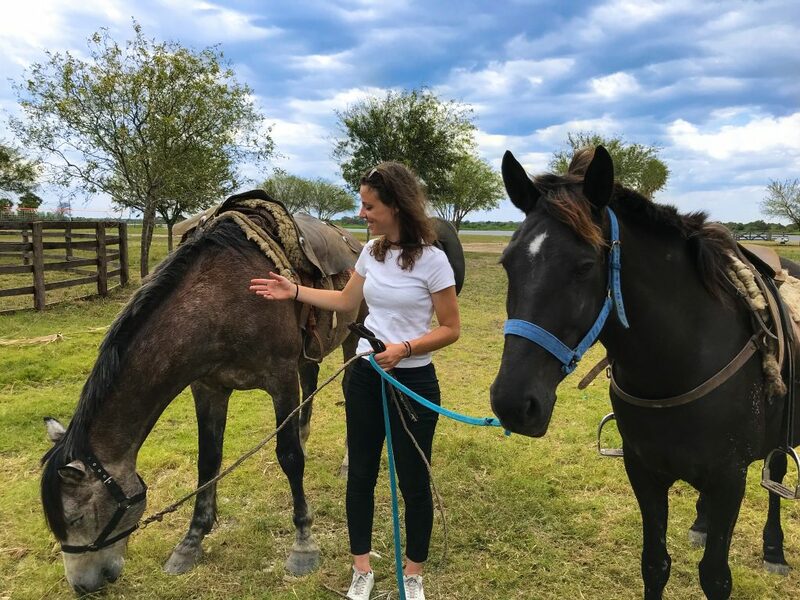 Rodrigo thought he was crazy: “How can you do something like that in the Chaco, there is only cattle, and nothing grows, it’s very hostile.” Yet he still helped Marcel to find his way around the Chaco. He and Fredy, his current reforestation site manager, were driving around searching for the right spot. “In the beginning we were looking in the North. As we went there, there was an earlier road going to the river and I said to Fredy: ‘Let’s go to the river here’. He had never been there. 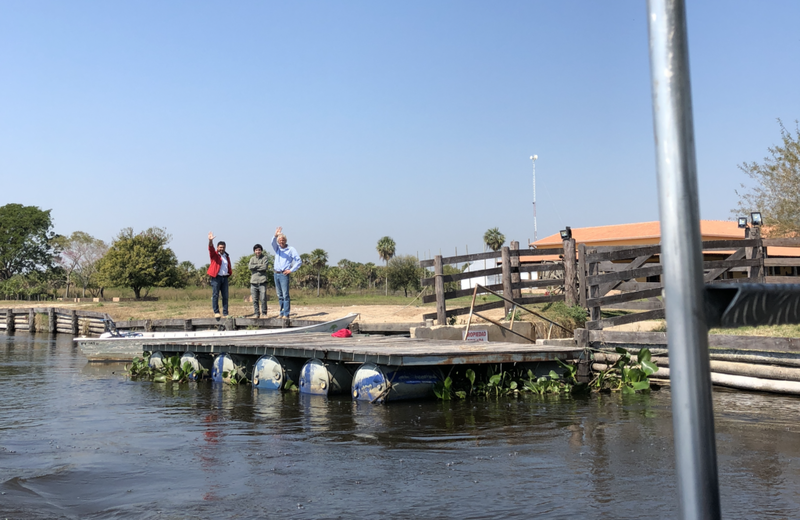 We went another 70 km to the river and took a little river taxi and just looked around.” There they found what they were looking for, next to the Rio Paraguay, close to the town of Porto Murtinho, with high riverbanks. All the hard work and setbacks never seem to affect Marcel. Not losing his $300 million-US-dollar company, losing half his plants or simply being miserably soaked and cold in the middle of nowhere. It’s his inexhaustible drive that keeps propelling him forward and makes him successful. But after building his own farm, he still had to work out how to become the biggest Pongamia producer in the world. You can read more about that and his drive and frustrations around climate change in our next interview with him. Hans van der Loo visited us to provide guidance and advice. 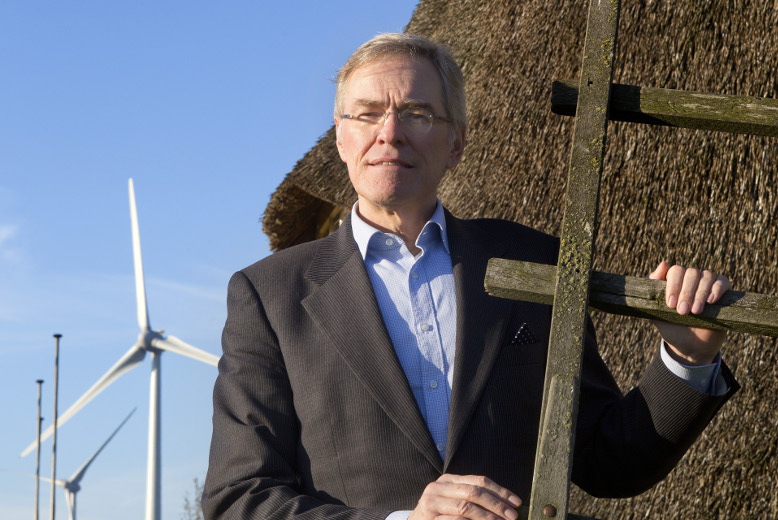 Hans is an energy and sustainability expert and former Vice President at Royal Dutch Shell, where he initiated Shell V-power. He frequently speaks for world and business leaders, for example at the Paris Climate Agreement (COP21) and the World Economic Forum. We would like to share some of his sobering insights with you. “There are three fields in play with climate change. First of all, it is very hard physics and chemistry. The second it is economics but the most important field is the social science. Climate change is the result of our behaviour and choices. Stopping climate change used to be something we should do for our children, but we are past that stage now. It’s not something for the next generation. We need to become more aware of our ecosystem. Not just because of guilt but also a sense of survival. It’s not about doing this for our children anymore. No, we should do this for ourselves. 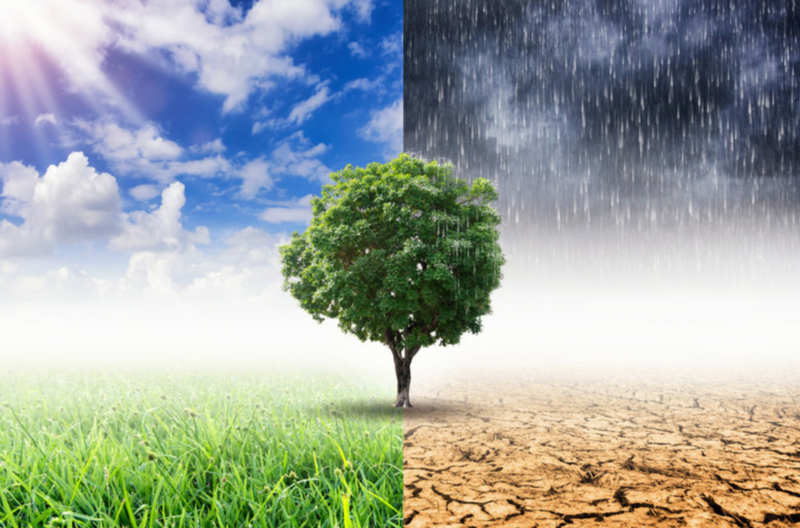 The difficulty is that climate change is a long-term problem and people tend to favour the short term. I think we will go through a course of collateral damage before we really take action. That is rather sorry, but sometimes we need to burn our fingers to know something is hot. You then learn not to make that same mistake again. Unfortunately, getting hurt helps. This summer, for instance, was really hot but it hasn’t caused real collateral damage. Most people have forgotten it already. It has to infiltrate our behaviour. You won’t forget the year your house collapsed. Living in the wealthy part of the world, we are not feeling the pain at the moment. Others are, like the people in the Marshall Islands and Vanuatu. They will see their countries completely disappear below sea level and it’s not their fault. With their lifestyle, their footprint is nowhere near the world’s average and even further from ours. Your lifestyle determines the size of your footprint. Wealthy nations have a dis-proportionatel big impact on climate change. If everyone lives like an American we would need 5 planets. If everyone would live like a European we would need 2.5 planets. Only because a huge proportion of the world lives below the average we now need 1.7 planets to live on. Still not enough; we only have one. Make no mistake, the planet is not on the line. Earth will continue for billions of years. But whether the ecosystem – which we as a species need – will survive, is a very big question mark. Ensuring our survival is a simple calculation. If we don’t spend now, we will have to spend a lot more later on. We will need to be conscious about it and then convert that consciousness into lifestyle choices. This will come in three steps. The first is living your life as you are now but with a smaller carbon footprint. That is already great. These are small changes you barely even notice. The next step has to do with behaviour. Consuming more consciously and knowingly. Changing our lifestyle, but still not a real material change. Those are the easy parts. But the third step will about parts of personal consumption that will really change our lives. It will start hurting, like infringements on our consumption patterns that we do not desire. Our planet provides enough for everyone’s need. But not for everyone’s greed. The quicker we can take the first two steps, the further we can push away the last step. That last step will be inevitable this century. When exactly, depends on what we will do now. 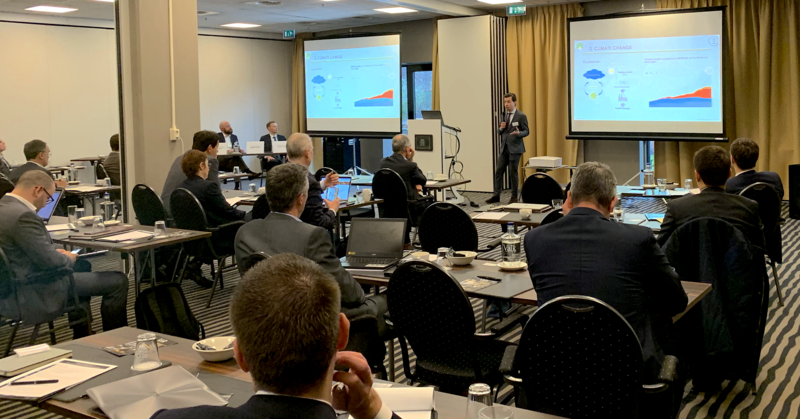 The most difficult is to reduce CO₂. Offsetting emissions is already a good step but it is not enough. Best is to over-offset emissions, reducing CO₂. So I am taking out more CO₂ and leaving a margin for people, who cannot afford that. Corekees’ trees, Pongamia, are a way of CO₂ mitigation. Our current economic system requires high-density energy in the form of hydrocarbon molecules. Pongamia also produces hydrocarbon molecules but made in a very nice way. And of course we can never believe that Pongamia will be the solution to all our energy problems but it is a non-regret route. That is to say, come hell or high water I will not regret it. Non-regret options are the best options you can make in your life. The opposite is a sure-regret option, whatever the future will be we will regret it. It is surprising how many of those we make. We lack this proper foresight and realistic discounting. Not taking action against climate change is one of those. The longer we wait, the costlier it will be – and not just financially. We know that! And yet we are completely paralysed. We are waiting for others to start first, like the prisoner’s dilemma. We are all on the same ship. It doesn’t matter who you are – the captain, the bellboy or a first-class passenger – your destiny is linked to that ship. More people should get this awareness. 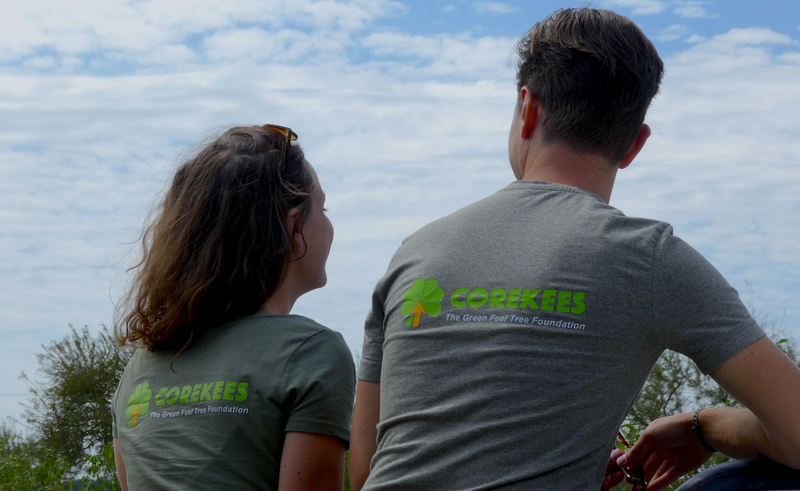 At The Corekees Foundation, we offer carbon compensating, fuel producing trees. Our tree is known for its ability to absorb CO2 – or carbon. Furthermore, the nuts on the trees contain crude oil. This oil is used as renewable fuel; a direct alternative to fossil fuels. The combination of replacing fossil fuels and absorbing carbon, makes these trees about as green as it gets. It’s quite the trip. First the eleven-hour flight to Sao Paulo, followed by another flight to Campo Grande. 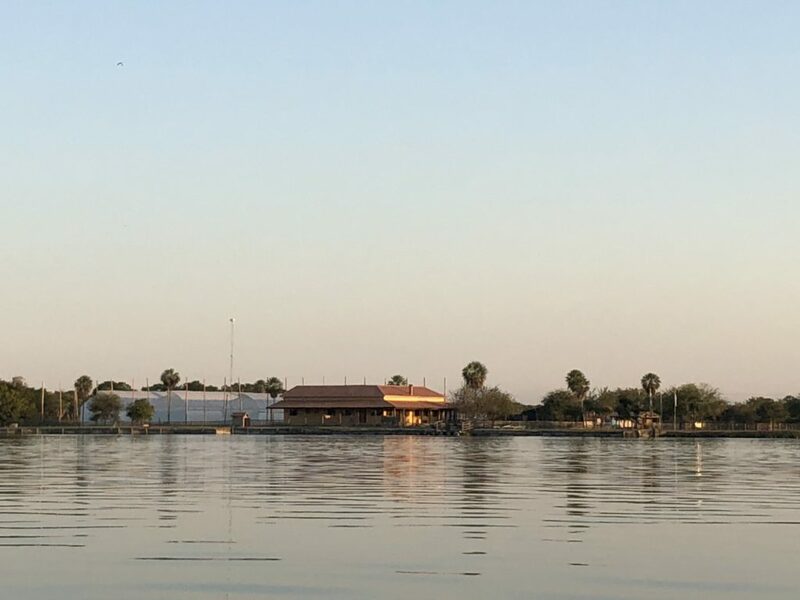 A five-hour drive to Porto Murtinho and from there a short boat ride on the Rio Paraguay. Combined, these emissions are the equivalent of seventeen trees, which I bought just before take-off. It is a beautiful journey but a long one nonetheless. Once you arrive though, it immediately feels worthwhile. Our Estancia (that is Spanish for farm) is where everything tree-related takes places. It is where the greenhouses, nursery and most of the reforestation areas are. Also, the cloning of the trees, genetic research, planting and eventually crushing of the nuts for the crude oil takes place there. This makes being there exciting, there is a real buzz about the place and you feel right in the middle of it all. Estancia Santa Rosanna is located on the Paraguayan side of the Rio Paraguay, with Brazil at the opposite side. The location plays a crucial role. The seedlings need a lot of water and there is plenty; approximately 30 million liter flows through the river every second. But the river is also a very easy way for transportation. Ships with large barges can come to collect oil and directly ship it off to oil companies. A few hundred meters upstream there is a little island that is used as a natural roundabout for the freight ships to turn. The water also plays a crucial role for power at the estancia. Electricity comes from the hydroelectric power station at the Iguazu waterfalls. So, at the estancia we are not only sequestering CO2 but also running on clean energy. At the time of my visit, the temperatures were in the high 20 degrees, quite comfortable. In the summer temperatures can run up to 50 degrees, which is quite unpleasant for us but great for the trees. There are a few important local people that keep the estancia going and give it such a great atmosphere. It is a relatively young team, which means a lot of energy and fresh set of ideas. In charge of managing the estancia is Federico ‘Fredy’ Montoya, who seems to know everyone. He used to be a Paraguayan footballer and even played for the national team, which probably helps getting to know so many people in football-crazy South America. Fredy is also in charge of the reforestation areas, which he inspects regularly on horseback. So, his job becomes more encompassing as more and more trees are sold. But like the sportsman he is, he is impatient for the challenge. Humberto Pagliosa is the Tree Production Manager. 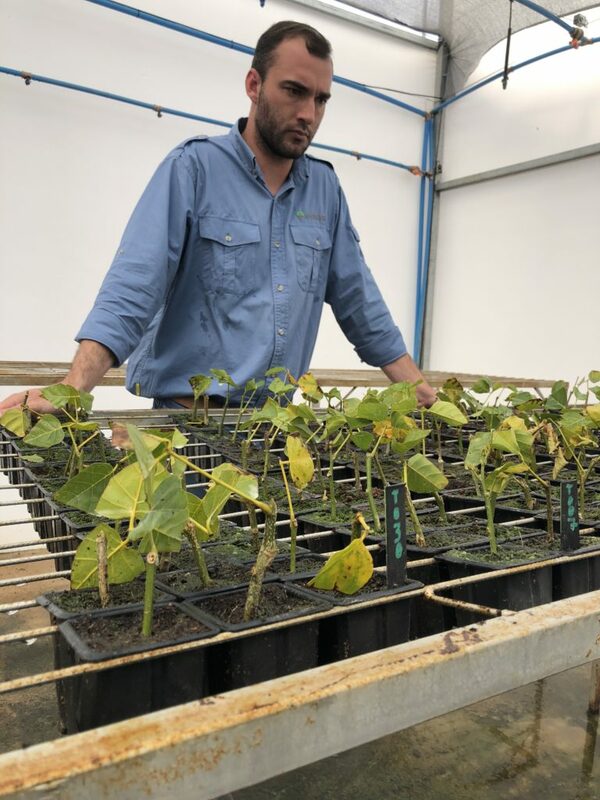 As a forest engineer specialized in greenhouse and nursery operations, it is his job to ensure an ever-increasing production. This means he is constantly tinkering with new and improved ways of planting and nurturing seeds and trees. Another important figure at the estancia is Francisco Vergara. He is in charge of the genetics of the trees. This means that he is looking for the best genes to ensure a high fuel production but also a high survival rate. Francisco travels a lot to find the best Pongamia trees, like recently to India and Australia. 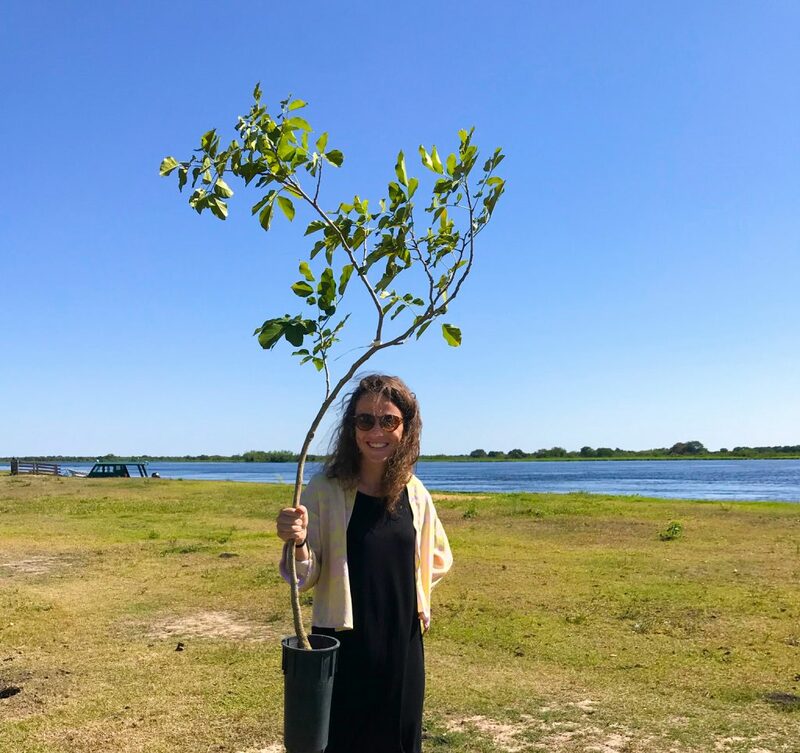 Because of Francisco’s work our Pongamia trees are getting better and better. Fredy, Humberto and Francisco are crucial for the tree and oil production process. And it’s quite the process. All trees are clones. This means they are cut from so-called mother trees, which are selected by Francisco because of their genetics. These cuttings have to be made in a very specific way. It requires a few weeks of training. At first, this was done by men, but they were too rough-handed. Women proved far better at it. The estancia uses as much local labour as possible and they are paid above average wages, which is unique for the region. So, the estancia is becoming a popular place to work. After the cuttings have been made, they are potted and placed in a greenhouse for 2 months, where they are watered with a thick mist. Next, they are re-potted to bigger pots and placed out in the sun for about 6 months. The trees are then ready to be planted. We plant our trees on the land of local cattle farmers. According to Paraguayan law, farmers need to reforest 50% of their land so we offer an easy solution to that. The only sacrifice farmers have to make is that they cannot use the land for the first year after planting, because the trees need to grow and not be trampled by the cows. After a year the tree is resilient enough to survive. All of this means we have farmers lined up to join. 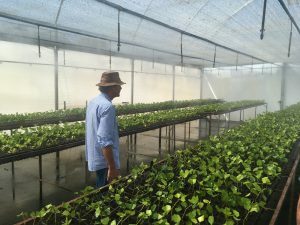 I thought I knew a lot about Pongamia and the whole process but being at Estancia Santa Rosanna was eye-opening. 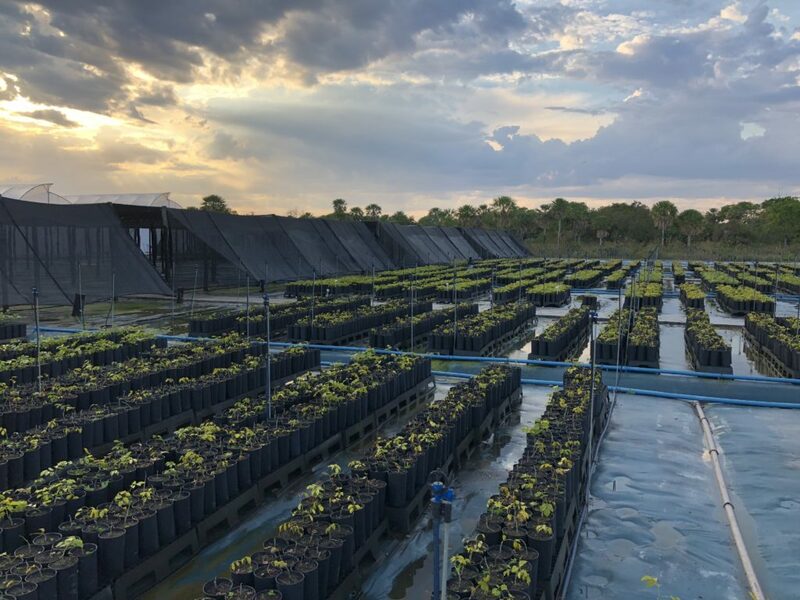 There is so much more going on than can easily be explained, from details about the genetics to the massive undertaking of planting thousands of trees. The whole operation is thought through and very well structured. Every single question I asked was answered immediately. I can’t wait to come back next year and see the progress made, even though I have no questions left. Stichting Corekees maakt hét alternatief voor fossiele brandstoffen uit bomen voor iedereen toegankelijk. In Amsterdam zijn neef en nicht van Heesewijk Stichting Corekees gestart. 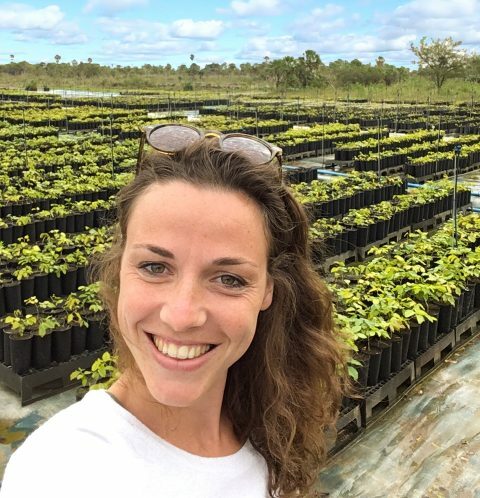 De Pongamiaboom is dubbel duurzaam; naast de hoge CO2-compensatie produceert de boom een donkergroene vervanger van fossiele brandstof. De opbrengsten vallen de bomenkopers ten deel. Momenteel gebruikt Europa drie keer zoveel grondstoffen als de aarde jaarlijks produceert. Circa 80% van alle energie komt uit fossiele bronnen, waarmee de dominantie van fossiele brandstof onomstotelijk is. De noten van de Pongamiaboom bieden mogelijk de oplossing. De noot produceert ruwe olie, waaruit een direct en groen alternatief voor fossiele brandstof geraffineerd wordt; geschikt voor auto’s, schepen en vliegtuigen. De Pongamiaboom heeft, op de palmboom na, de hoogste oogstopbrengst van alle olieproducerende gewassen. 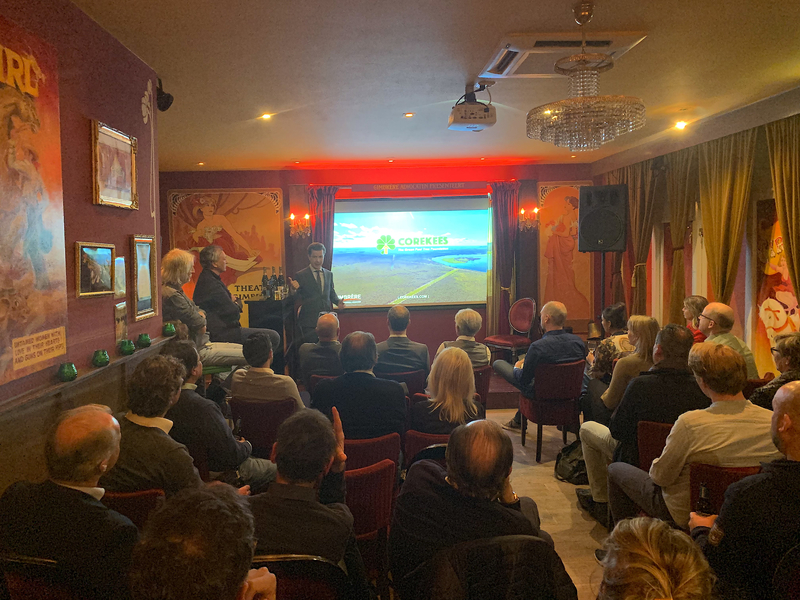 De boom heeft – in tegenstelling tot palm – een positieve impact op het milieu. Waar de meeste plantaardige oliegewassen voedselproductie belemmeren, wordt de Pongamiaboom alleen geplant op grond ongeschikt voor voedsel. In de zomer van 2016 ontstaat het idee voor Corekees onder een boom aan de oever van de Rio Paraguay; de rivier tussen Brazilië en Paraguay. Met de voeten in de klei bedachten neef en nicht om de boom in te zetten om duurzaamheid aantrekkelijk te maken voor het grote publiek. 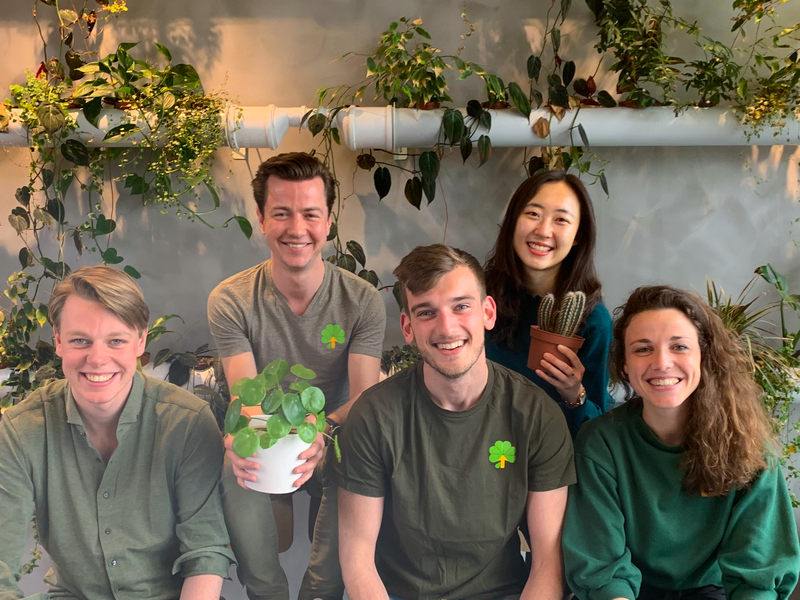 De gezamenlijke liefde voor de dubbel-groene boom en de uiteenlopende vaardigheden van neef en nicht worden bij Corekees ingezet om het verschil te maken in een wereld die daar klaar voor is. Are you persistent, creative, innovative and able to work independently? 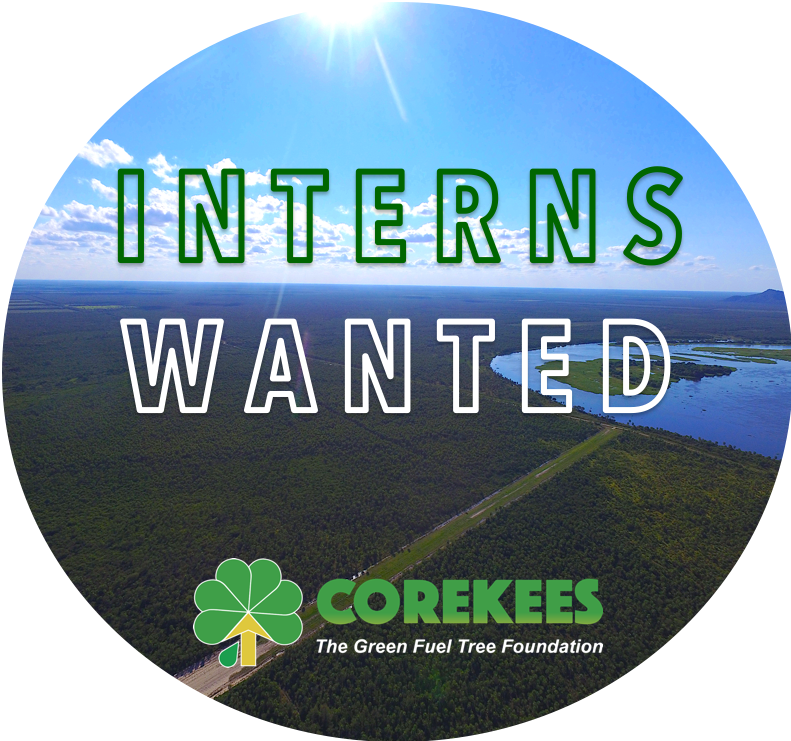 Corekees is looking for interns who can handle responsibility, likes active participation and is self-sufficient. 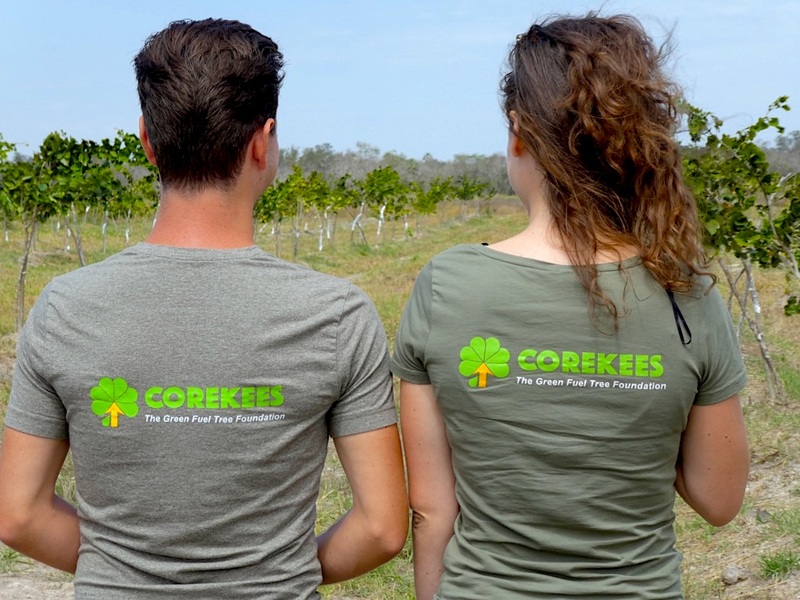 Corekees is a young company that offers (Pongamia) trees to both consumers and corporates. These trees grow nuts, from which crude oil is crushed as the base for green, renewable fuel; a direct substitute to fossil fuels. Do you want to develop and execute a marketing strategy? Are you eager and able to identify & approach target audiences? Do you have affinity with (social) media, content, relations with partners, journalists and large companies? 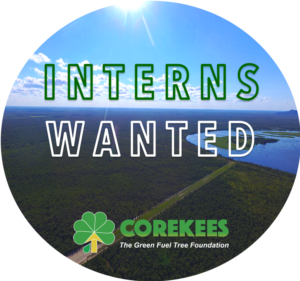 Apply for an internship at Corekees. Key words: marketing, social media, entrepreneurial drive, design, innovation, creativity, energy, independence, growth, strategy, content, table tennis. Werk je graag zelfstandig, bezit je doorzettingsvermogen, creatief denkvermogen en houd je van innovatie en vernieuwing? Corekees is op zoek naar stagiaires die verantwoordelijkheid aankunnen, mee willen denken en zijn/haar eigen gewicht kunnen dragen. Corekees is een jong bedrijf dat (Pongamia)bomen in de markt zet. Aan deze boom groeien noten, waaruit ruwe olie geperst wordt als basis voor groene brandstof; een direct alternatief van fossiele brandstof. Ben jij in staat een marketingstrategie te bedenken en uit te voeren? Vind je het mooi om doelgroepen te identificeren en benaderen? Word je enthousiast van (social) media, content, contact met partners, journalisten en grote bedrijven? Solliciteer dan op een van de stageplekken bij Corekees. Kernwoorden: marketing, social media, ondernemersdrang, innovatie, energie, zelfstandig, groei, strategie, content, tafeltennis.